In the United States Father’s Day is special, a day when we reflect upon and celebrate fatherhood. We recognize together the gifts of fatherhood and reconsider its duties and obligations. In honor of this day, and of all fathers, let us look first at the person of St..Joseph, patron of fathers and guardian of the universal Church. First of all, God reveals in St. Joseph that a father is a man who is obedient to God in an uncomplicated, sacrificial and steadfast way. In the Gospel of Matthew we read of the visit of an angel sent by God to communicate a message to Joseph, that the child in Mary’s womb was conceived by the Holy Spirit. St. Joseph is to take Mary— which means to stay with her as husband—and he is to name the child Jesus. God entrusted Joseph with a sacred duty: the protector and guardian of the Child Jesus and Mary; he is to keep them well and safe from harm. St. Joseph, through his humble obedience, is to become the model of fatherhood for all peoples and the patron of all fathers in the universal Church. This model of fathers must be sacrificial; he must be wise, prudent, and even heroic. Like any ordinary man, he must do honest and hard work for his wages. Joseph isn’t given a free ride, nor does he complain about his lot in life. Indeed, his life was most likely quite difficult, especially protecting Jesus and Mary from the forces of evil that sought to envelop them. God communicates to us the beauty of family, and the divine calling of fatherhood, the fatherhood of God, and the fatherhood of man, typified by St. Joseph. It is not accidental that Jesus needed a human father—even though he is the Son of the Eternal Father. It is not accidental that Mary needed a committed and loving husband for the plan of God to be fulfilled as He willed it. Mothers and fathers are a fundamental requirement to human life, not one option among many. The sacredness and dignity of this calling is incomparable to any other human relationship. In a letter written about St. Joseph, Blessed John Paul II wrote, “St. 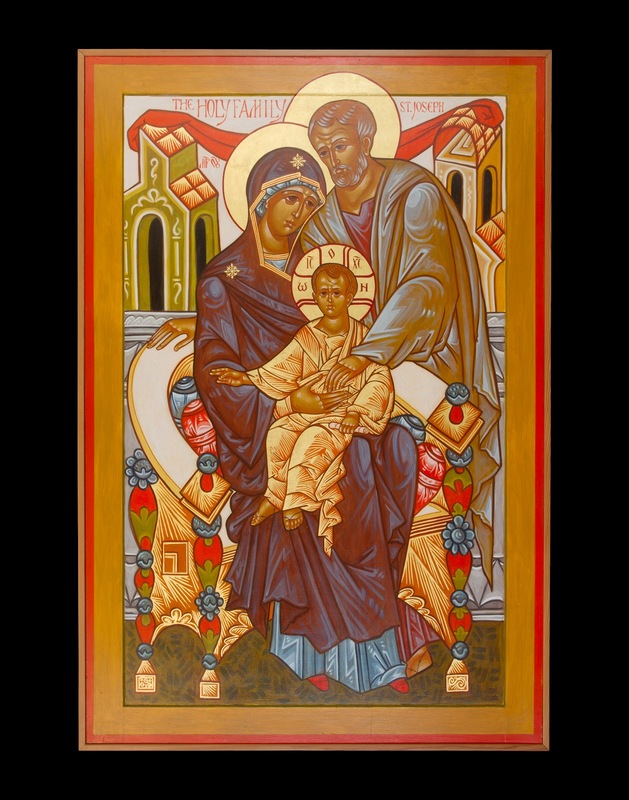 Joseph was called by God to serve the person and mission of Jesus directly through the exercise of his fatherhood… his fatherhood is expressed concretely in his having made his life a service, a sacrifice to the mystery of the Incarnation and to the redemptive mission connected with it. St. Joseph ‘did as the angel of the Lord commanded him’” (Mt 1:24). St. Joseph does this in a way that is silent and humble. He is not boastful; he does not seek the recognition of the world for his sacrifice. He is most of all a just man, one who is righteous because he is obedient to the divine law. St. Joseph is not his own lawmaker; he doesn’t seek his own way in life nor does he seek to make up the rules as he goes along. He recognizes and respects the limits of his authority in relationship to his Creator. He seeks first of all to be obedient to God, understanding that nothing is more important than this. In his obedience he is a model for fatherhood, a model God desires for all men to imitate, a model of service, of sacrifice, and of fidelity to the Church. The litany of St. Joseph lists the traditional titles of St. Joseph. He is called diligent Protector of Christ, he is called Most Just, Most Chaste, Most Prudent, Most Strong, Most Obedient, Most Faithful, Mirror of Patience, Lover of Poverty, Glory of Home Life, Pillar of Families, Solace of the Wretched, Hope of the Sick, Patron of the Dying, Terror of Demons, Protector of Holy Church. Fatherhood is a sublime vocation; it is a call to participate in a type of divine life. Yet, today, many think that fatherhood is neither important nor special. We know better; we see the inexplicable good that happened when St. Joseph was a faithful father and obedient to God. Fathers can protect and give life to the world, sowing the seeds of goodness, beauty and truth, and making the presence of Jesus felt and experienced in a world sorely in need of direction, strength, love, and hope. God asks fathers to cooperate with him to save his people from evil and sin. As we commemorate Father’s Day, let us also celebrate God’s gift of life and love through the sacred calling of fatherhood.